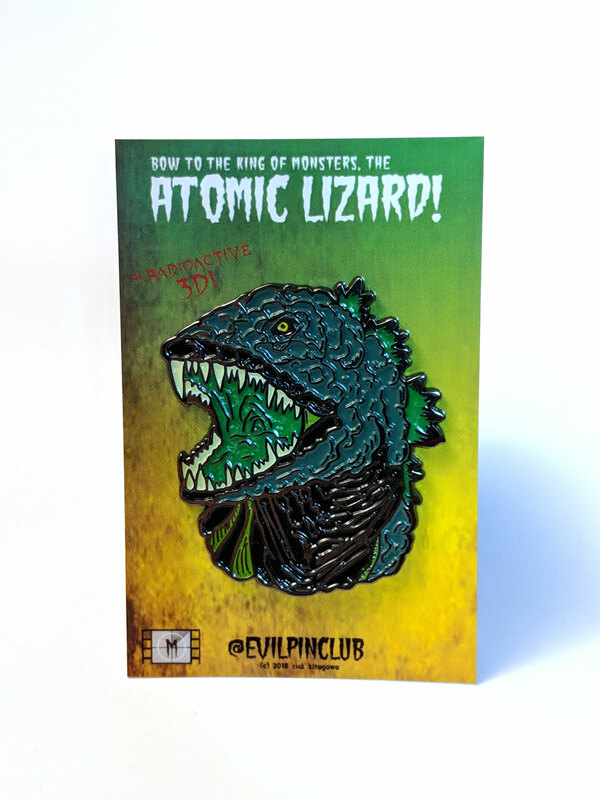 Rising from the radioactive seas, the Atomic Lizard lays waste to those who abuse the environment – the very people responsible for his creation. A hulking behemoth, the Atomic Lizard destroys all in its path, a righteous defender of the earth with its atomic breath. 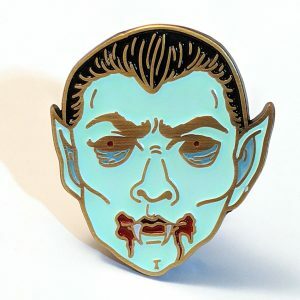 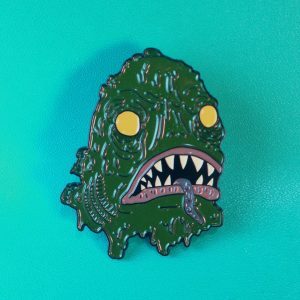 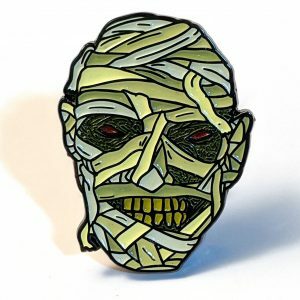 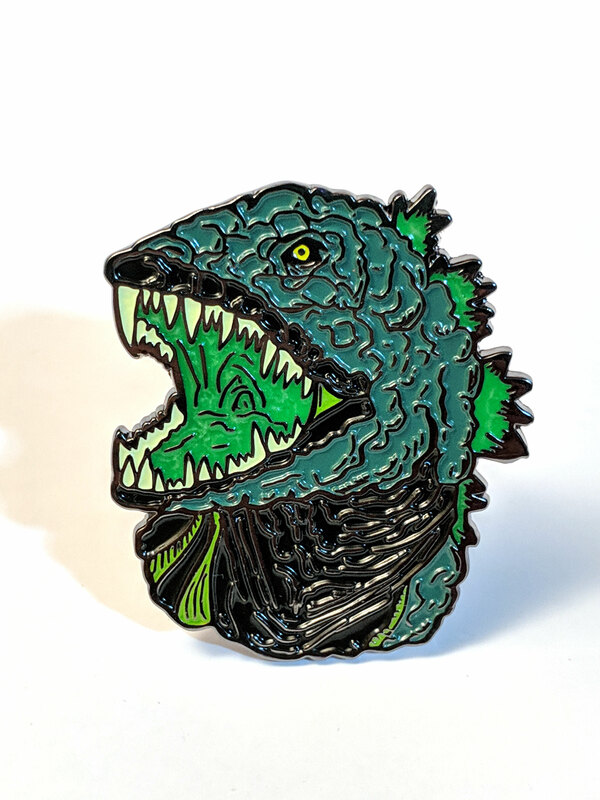 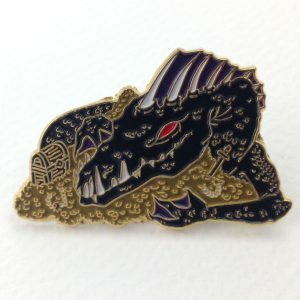 Part of the Classic Movie Monsters collection, this 2″ Atomic Lizard pin also glows in the dark!